I hope you all had a wonderful Labor Day Weekend! 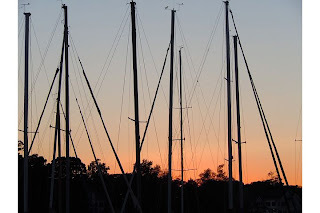 I spent the long weekend in Annapolis for a family reunion. It's always fun to spend time catching up with family but it can get a little overwhelming. We had a beautiful sunset boat cruise, many bonfires, a night of dancing, an 18 hole golf tournament, and time on the beach. All of this meant that I spent yet another day organizing the condo, unpacking, doing laundry, etc. I had a wonderful lunch in Georgetown with my amazing friend Paige and her mom Deb. I've missed Paigey so much, with her living in Argentina and all. I look forward to the month of September as she will be here in the states with us the whole time! 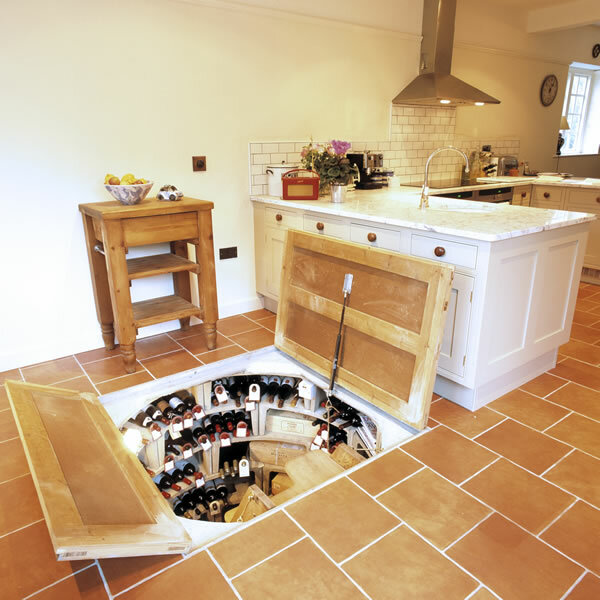 First off, Spiral Cellars Wine Cellar. 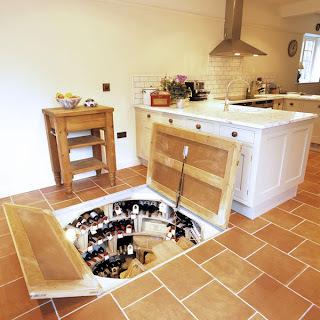 This is a trapdoor that is placed anywhere in your home that leads down to a cylindrical wine cellar. "two seating areas specifically designed to accommodate a man and a woman"
watch the video, you'll be sold!